The Humanitarian Impact of Drones is, as Chris Heynes says in the preface, “a most welcome contribution to a vital debate,” chiefly because it extends beyond the legal lens used to consider the rights and wrongs of particular targeted killings, often the criticism which dominates the debate on the use of armed drones. Instead, split in to two parts, the report covers broader humanitarian ‘impacts’ and ‘perspectives.’ It includes its fair share of discussion on the impacts of targeted killings and the legal perspectives on these actions but chapters range from the impact on peace and security and the environment, to gender-based and religious perspectives. Throughout, the chapters are interspersed with case studies from countries or regions, relating to the various topics covered. 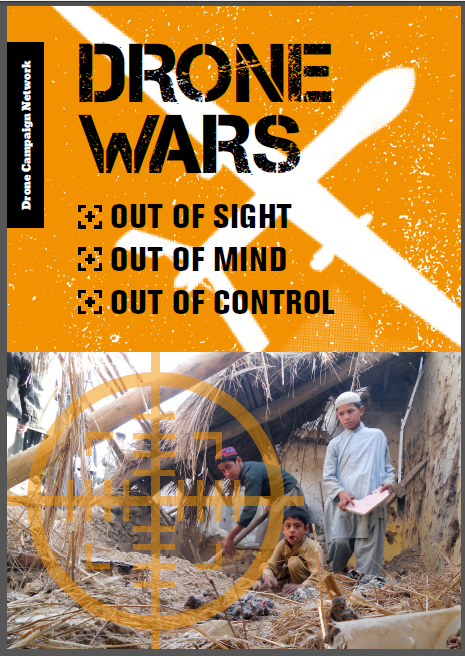 The report moves between practical, theoretical and legal frameworks to offer a comprehensive understanding of the nature of drone warfare in its fullest sense. In this review I want to highlight a few of the issues that are not normally covered. This is not to suggest that the chapters on international law, humanitarian law and the case studies on countries like Yemen, where targeted killing has become an integral part of the US war on terror, are not important. 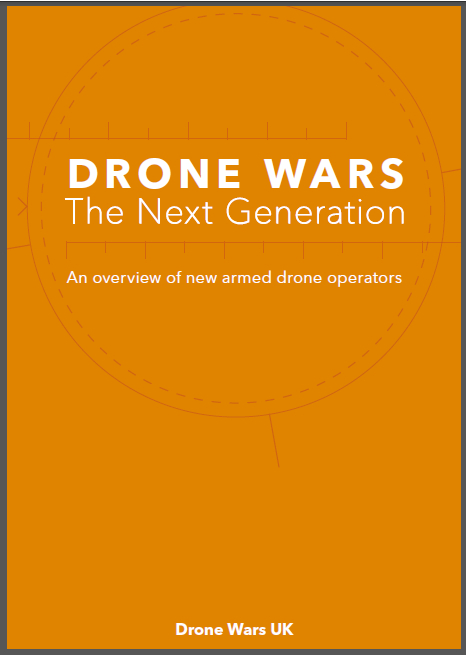 They are, and remain central to the debate on drone use – the chapters in this report make for sobering reading on the extent of targeted killing and associated civilian casualties. However, it is the issues that are not so commonly covered in armed drone research and lobbying that make this report so critical. Leaving numbers of those killed illegally or wrongfully aside, the report seeks to address impacts on issues that are less quantifiable. In a short chapter, Elizabeth Minor (Article36) and Doug Weir (Toxic Remnants of War Project) asks what the unique impact of drone strikes might be on the environment, since drone strikes are often conducted in more densely populated areas and contain new metals and components that have not been tested to assess their toxicity levels. Moreover, drone strikes are more likely to be used to hit “environmentally risky” targets in densely populated areas, causing contamination and harm to the civilian population. The environmental consequences of warfare of any sort are often ignored, or at least not measured, and this under-reported an unquantifiable harm has the potential to increase with the proliferation of armed drone use. A problematic issue that is often dismissed by supporters of armed drones, but has been something that Drone Wars UK has consistently sought to address, is covered by Chris Cole in his chapter on ‘Harm to Global Peace and Security.’ The fallacy of the term ‘precision strike’, which has warped the public perception of the effectiveness of drone strikes, is unpacked, as it the increased potential for cross-border strikes. This is backed up by revealing statements from military personnel and lawyers in their support for drone warfare. We must take note of these issues and remain vigilant to the slide towards perpetual conflict. One of the most interesting, and shocking, chapters is ‘Psychological Harm’ by Radidja Nemar of Alkarama. Far from a clean, limited, method of warfare, Alkarama’s research sheds light on the extent of psychological harm caused to civilians in Yemen, a country in which the US has been carrying out targeted killing by drone since 2014. Her team interviewed adults and children to assess whether or not symptoms of Post Traumatic Stress Disorder (PTSD) were found both in families who had had a relative killed in a drone strike and those who had not. The chapter details the kind of symptoms suffered and the numbers suffering. In short, 99% of those surveyed have PTSD symptoms whilst one quarter could be said to be suffering from PTSD. What is most disturbing are the peculiar effects on women and children, the most vulnerable members in society. Women reported feeling too afraid to go to social gatherings, such as weddings, further curtailing their movement. Whilst many children, especially boys who had lost a relative, have fits of rage and feel a desire for revenge. Constant anxiety, fear of being killed, trouble sleeping, depression, feelings of not being worthy of protection, anger towards the US and Yemeni governments were found in most respondents. These findings provide a direct counter to the idea that drone strikes can be used to ‘take out the bad guys’ whilst minimising public harm. Performed outside of a theatre of war, and as the chapter, ‘Harm to Government Transparency’, by Anna Diakum (of ACLU’s National Security Project) on transparency highlights, there is little to no information forthcoming about the reasoning and decision making process behind US drone strikes. Lawsuits in the USA over the government’s refusal to provide information, as well as the inconsistencies between civilian casualties reported by government and journalists/monitors, Diakum argues, are eroding any confidence in drone programmes and harming the US reputation abroad. The second part of the report, ‘Perspectives’, begins with a chapter on human rights issues focussing on the targeted killings in the Federally Administered Tribal Areas (FATA) of Pakistan. The erosion of FATA inhabitants’ human rights under their skies dominated by this now infamous part of the US war on terror, is clearly documented by Shahzad Akbar, a human rights lawyer who has represented over 100 victims of drone strikes and their families with the Foundation for Fundamental Rights. 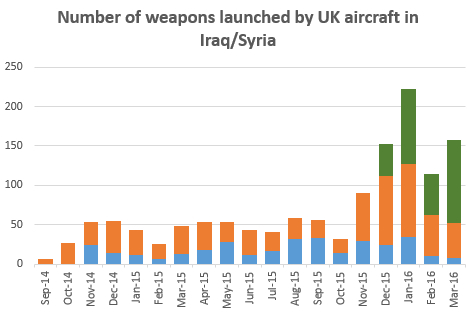 The shocking civilian death toll and the wider human suffering is laid bare. Another revealing chapter, the subject matter of which needs integrating in to an understanding of new forms of warfare more generally, is Ray Acheson’s (of Reaching Critical Will) on the ‘Gender Perspectives.’ She details the ways in which militaries have developed a ‘hegemonic masculinity’, a hero/warrior mentality, to assist in the process of killing. This raises two specific issues for drone operators. One is the way in which women and children are seen in need of protection, whereas men are, by their nature of being men, legitimate targets. One can see this playing out the signature strikes conducted by the US, where all ‘military age males’ become potential targets based on flimsy intelligence. This is gender based violence. Secondly, there seems to be a psychological need, on the part of drone operators, to develop a hegemonic masculinity for a type of warfare that “looks cowardly” when compared with more traditional forms of soldiering. It is therefore important to be mentally strong in this field and these new “technogeek warriors” describe their work in rational, legal and serious terms. Yet evidence suggests that there is a risk of psychological strain, similar to that of soldiers engaged in combat. It seems there is a, conscious or subconscious, need to reconstruct the masculine warrior ethos for drone war fare. This has led to nicknames from drones, such as the ‘Sky Raper’ – a machine that can penetrate in to territory that has not given its consent. This naming may not reflect a fully thought through understanding of the correlations to sexual violence that hyper masculine cultures can legitimise, but it certainly reveals the extent to which these issues need to be considered in relation to drone warfare. Finally, throughout the publication, various themes reoccur in many of the chapters: the erosion of the limits of jus ad bellum and jus in bello, such as imminence; the transfer of risk and harm away from (drone operator) combatants to the civilian population; the lack of transparency; and the sometimes outright, sometimes potential, illegality of many of the targeted killing programmes. The impacts and perspectives, as outlined in this publication, serve to show that armed drones do, and will continue to, cause more harm than we are led to believe. And, specifically, for NGOs and rights groups, this publication will hopefully act as a basis for an extension of the advocacy on limiting the use of armed drones. This is timely as civil society tries to engage with the Joint Declaration process that the US is pushing forward, which will set norms for the use of armed drones and may or may not lead to the international communities acceptance of the wider harms caused.